In previous posts, I discussed POTS syndrome (postural orthostatic tachycardia syndrome), what it is, how it’s diagnosed, and some POTS treatment approaches. In this article, I’ll discuss some research that made a link in between POTS and lyme disease. What’s Lyme Disease Got To Do With POTS? Lyme disease is an illness that can develop after a particular form of a tick bite. It is a disease that affects many organ systems including the nerves, heart, and muscles. It begins as a rash known as erythema migrans that develop after the tick bite. Usually, lyme disease responds to antibiotics; however, there is a group of patients that develop what is known as the post-Lyme disease syndrome. This is a syndrome of fatigue, pain, and mental clouding known as “brain fog” that can severely affect someone’s quality of life. 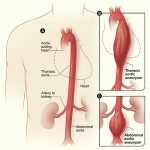 A piece of research by a group of US investigators from Ohio demonstrated a link between POTS and lyme disease by investigating patients with Lyme disease and the post-Lyme disease syndrome who also suffered from POTS syndrome. The study included 5 patients who develop fatigue, orthostatic intolerance, and cognitive dysfunction years after having Lyme disease. Symptoms included dizziness and passing out in some, fatigue, poor exercise tolerance, headache, mental clouding, and palpitations. All of the patients were so limited they were essentially housebound. Testing including clinical exam and tilt table testing were used to diagnose POTS syndrome. The group who were well experienced in the care of POTS syndrome patients treated patients with standard protocols. Physical training and increased sodium and water intake were used. If the symptoms of P.O.T.S persisted then medications were used, with a different combination of medicines used as felt necessary on an individualized patient basis. Treatments were considered successful if there was symptomatic improvement. All of the patients responded to treatment of the POTS syndrome. All patients had improvement in the orthostatic symptoms, particularly fatigue. Three of the patients had complete disappearance of passing out episodes and the other two had a much-decreased frequency. Four of the five patients were able to resume usual daily activities. This study showed that in patients that have had Lyme disease. POTS syndrome was a clear component of the post-Lyme disease syndrome, a syndrome that can appear. Recognition of POTS syndrome was important in this group because once identified, the appropriate treatment of POTS syndrome resulted in improvement in disabling symptoms and quality of life. Physicians should therefore have a high index of suspicion for POTS syndrome in those with post-Lyme disease syndrome. It’s not possible to tell from this study just how many patients with post-Lyme disease syndrome may be affected, it may only be a few percent of patients. Importantly though, it was clearly demonstrated that a targeted and systematic treatment approach can significantly improve the quality of life for those with POTS syndrome. Are there any doctors that specialize in this that take insurance? Everyone I’ve called has said no. My daughter had POTS as one of the very earliest Lyme symptoms and although she does not anymore for the most part, she has severe fatigue and brain fog now after treatment. I’d like to see a link to read the study. I suspect that far more information is needed and I want to understand the methodology of the study, sample size, etc and see what information leads to the conclusion drawn.I would like to understand what treatments were used to improve the symptoms? If they used both exercise, then how much and underwhat conditions? If they used salty foods AND exercise, how do we know which one helped? i have had chronic lyme disease for years some of those years were undiagnosed. i have just been made aware of POTS so i dont have an answer for you but i do have a great lyme disease doctor in the seattle area if you are need of one. Who would that be. My daughter just diagnosed with pots and Lyme. Find a Lyme Specialist if she has not treated with one. There are blogs and threads of people who have been infected by ticks and understand that the CDC guidelines for treating Lyme is far below what is actually required. There are Co-infections and heavy metals that these little buggers carry that are not effected by the typical Doxycycline or one antibiotic regiment. Is there any Dr’s in the Louisville, Ky area that specialize in POTS & poss. LYME disease association ??? Have you been treated by a Lyme Specialist? If not I suggest you find one. The CDC recommendation for treatment is typically a lot less than what most people require to rid themselves of the pesky spirocete, Lyme. I am a lyme / POTS person. I went to many doctors with little to no help. Then it almost seemed as if I developed Mast Cell Activation Syndrome. I work in research and ended up studying this topic into shreds. I personally did the doxy for a month at the time of diagnosis but these other problems came years later and came on slowly, though I never felt better after the initial infection. It got to where a flight of stairs and I was passing out. Always do your own research, consult with medical etc … but for me… I took Arteminisin for one week on, two off for nearly a year and felt dramatic improvement. I also changed my diet. I have been veg/ vegan most my life and got rid of grains for years as they were chronically causing problems. Occasionally I use Benadryl at night (dye free only), and take Quercetin once daily. I also walk 30 min upon waking and 30 min after dinner – everyday no excuses now that I can (had to work up to this) and I notice very quickly if I skip a day. I have reclaimed my life which I thought was gone forever. I only post this as a information for those going through it. I believe each person is effected differently but I really wish I had ANY guidance throughtout my long journey. I was diagnosed in June 2000 and did have the bullseye rash – also spend great deal of time in the backwoods of PA, NY, NJ and VT all hot areas. I started to feel better around 2016 – after a long slow demise. I wish everyone the best! I hope this holds up for me and I hope you all find what works for you.